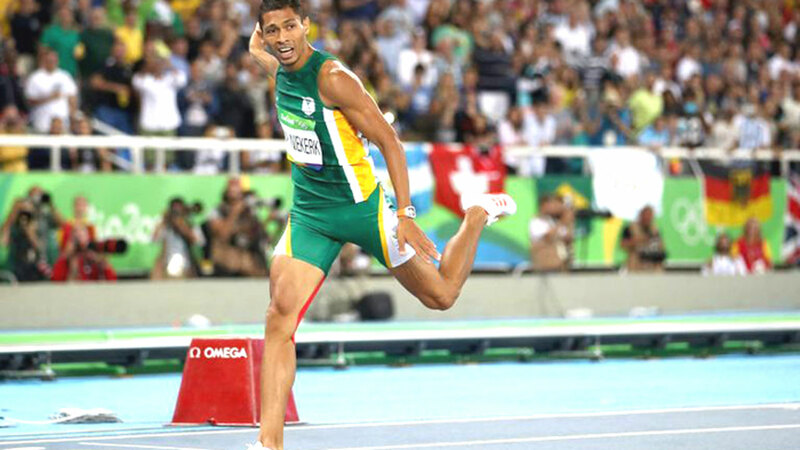 400m world record holder, South Africa’s Van Niekerk is expected to defend his title at the Asaba 2018 CAA Senior Championships…next month. The Head, Technical for the 2018 African Senior Athletics Championships, Yussuf Alli has declared that Asaba, Delta State and indeed Nigeria is now fully ready to host the rest of the continent in its flagship Track and Field competition. In a statement issued by Olukayode Thomas, Head Media, and Publicity for CAA Asaba 2018, Alli stated that after months of working round the clock to get things done, Asaba is now fully ready to host Africa’s best athletes. “Yes, we are fully ready to host Africa now, after the recent test event (African tour) that we held to test run our facilities, we have corrected the few lapses we saw and now we are good to go,” the former African record holder in the men’s Long Jump event stated. Alli said he is confident of a good show from the African athletes that would be on parade, adding that there would be much excitement on and off the pitch of action. “I am happy that the participating countries are taking this championship serious and with the facilities we have put in place, one can only expect the best of athletics from August 1 to 5,” Alli assured. During the last inspection of facilities by officials of the Confederation of African Athletics, CAA, Asaba was certified not just to have met the continent’s requirement, but the facilities on ground was also deemed qualified to host a world championship. South Africa is the defending champions of this biennial athletics championship and while it is hoping to complete a hat-trick of wins in Nigeria, it is also braced for a tough battle with the likes of Kenya and of course, hosts Nigeria. Meanwhile, two former Director Generals for the Nigeria Sports Commission (NSC), Dr. Patrick Ekeji, and Gbenga Elegbeleye have signed up to be volunteers at the championship. CAA Asaba 2018 is successful. The LOC chairman, Solomon Ogba has thanked the astute sports administrators for standing up to be counted in this historic moment for the country. Ogba, who acknowledged the good works done by Ekeji and Elegbeleye during their time at the NSC and beyond, said he was happy to have them in the volunteers’ team that already has another former NSC boss, Amos Adamu, as well as eminent people like Nduka Irabor former LMC boss and Mike Itemagbour, among others. “More eminent Nigerians are coming on board and we thank these well-respected sports administrators for identifying with us as we get ready to host Africa in style,” Ogba stated. Ekeji a former Nigeria international was first appointed National Director of Sports at the National Sports Commission in December 1994, Director of Sports Development at the National Sports Commission, 2001, and then Director-General, National Sports Commission in 2009, a post he retired from in 2013. On his part, Elegbeleye, who was appointed as the NSC boss in 2013 has been a notable figure in the Nigeria sports polity for over two decades.